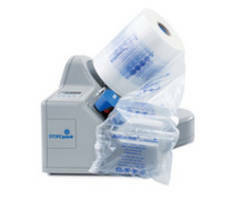 Supporting 3 film sizesÂ in 18 and 24 in.Â widths, FOAMplusÂ® BagpackerÂ² dispenses foam into pouch and seals it to create cushionÂ for protecting sensitive goods during shipping. Cushions adapt to goods and are suitable for sensitive items of any size.Â As table model or stand-alone unit with adjustable height, machine features electric drive, has 10 in. display, and produces up to 23 foam-filled cushions per minute. Use of barcodes and programmable process sequences ensures reliability. 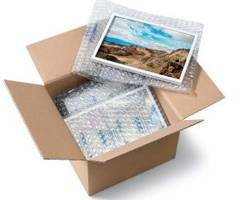 Storopack is a specialist in the field of protective packaging. Its product portfolio encompasses both customized and flexible packaging systems and their integration into customer packaging processes. The services provided by the internationally active company group based in Metzingen (Germany) are performed by the two divisions Molding and Packaging. The Packaging Division offers flexible protective packaging systems encompassing air cushions (AIRplus®), paper pads (PAPERplus®), PU-foam-in-place packaging systems (FOAMplus®) and Loose Fill (PELASPAN® and PELASPAN® BIO) packaging materials. It supplies demand-driven equipment solutions covering everything from single workstations through to the design and implementation of packaging lines integrated into a company’s intralogistics and equipped with manual, semi- and fully automated infeed packaging systems. Specialized application engineers of Storopack ensure that the entire work flow takes place in keeping with economic and ergonomic principles (working comfort) in order to constantly improve the customers’ protective packaging process. The Packaging Division is represented by locations in North America, South America, Europe and Asia. The products are available through dealers in over 40 countries. Cincinnati – Storopack, the specialist in protective packaging with international headquarters in Metzingen, Germany, is introducing an improved version of its FOAMplus® Bagpacker packaging system to the market: the FOAMplus® Bagpacker². It is an on-demand foam-in-bag system designed to protect sensitive goods during shipping – regardless of size or weight. Storopack’s FOAMplus® foam cushions flexibly adapt to the goods to be packaged and are suitable for shipping sensitive items of all sizes. The two-component foam packaging, which is produced directly at the packing station, protects shipping items in a way that is individualized and of very high quality. The Bagpacker² foam cushions are produced by the packer using a foam-in-bag system, whereby a film pouch is filled with foam dispensed from a machine developed by Storopack. 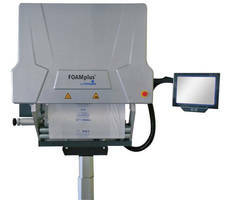 The FOAMplus® Bagpacker² is a more advanced version of the widely used FOAMplus® Bagpacker system. Storopack has replaced the hydraulic unit with a modern electric drive. The new sealing unit closes the bag with enhanced reliability, ensuring that the foam and product are more effectively separated. Storopack developed the system’s underlying software. Through the use of a barcode and programmable process sequences, the system ensures high-level reliability and cost transparency. The machine is equipped with a new 10-inch display featuring several additional functions. It’s available as a table model or a stand-alone unit with adjustable height. The Bagpacker2 can easily be integrated into a customer’s inline process. The FOAMplus® Bagpacker² is exceptionally versatile and delivers on-demand production of a variety of packaging solutions. The system is designed for use with three different film sizes: 18“ and 24“ width films. It can be used by small, mid-sized or large shipping companies. The FOAMplus® Bagpacker² produces up to 23 foam-filled cushions per minute. 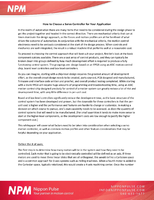 The system is remarkably user-friendly and robust – keeping maintenance requirements to a minimum. The protective packaging is especially suitable for products such as valves, pumps, measuring tools or medical devices. 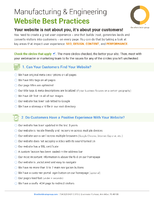 Further information is available at www.storopack.us. AIRplus Wrap Film comes in diamond-shaped structure. AIRmove New Packaging System can be controlled using foot pedal. Top Fill Machine helps protect small and medium-sized parcels. Pre-Molded Foam Packaging provide custom-fit product protection.